As with lessor known Japanese rangefinders, I also have an interest in Japanese TLRs from the 1950′s. The Yashica and Minolta’s are the most common and famous, but there are scores of others, many somewhat obscure, and many of good quality. The Kalloflex is among these. It is a product of Kowa and appeared in about 1954 and was sold through about 1957. Kowa went on to make medium format history more than a decade later with the excellent Kowa 6, 66 SLR system, a competitor to the Hasselblad and Bronica systems. This vintage Japanese TLR is distinguished from many of its fellows by a four element taking lens, crank wind, and very serious build quality (it’s a heavy little beast). Four elements is a good indicator of optical quality, as many of its brethren were three element astigmat designs – not necessarily poor optically, but not capable of a critical degree of correction at open apertures. The collectors have discovered this camera now, and good ones seem to sell for at least $200 on the old auction site. With Google one can find some short articles on the Kalloflex and a manual on the Butkus site. The 75mm F3.5 Prominar lens is said to be very sharp and I concur. My copy is in great condition and the camera is a real pleasure to useand it feels very solid, unlike some other early Japanese TLR’s (although I still like most all of them). The Kalloflex uses Bay-1 accessories like many Rollei models, which is very handy. We often think of cameras like the Kalloflex as being inexpensive these days, but in 1957 it listed for $120 USD, which is $920 in 2010. Thus quality is expected! By reference the Yashica Mat listed for $75, or about $575 USD in 2010. One would expect better performance and construction quality from a Kalloflex compared to a Yashica Mat, and I think this is the case. 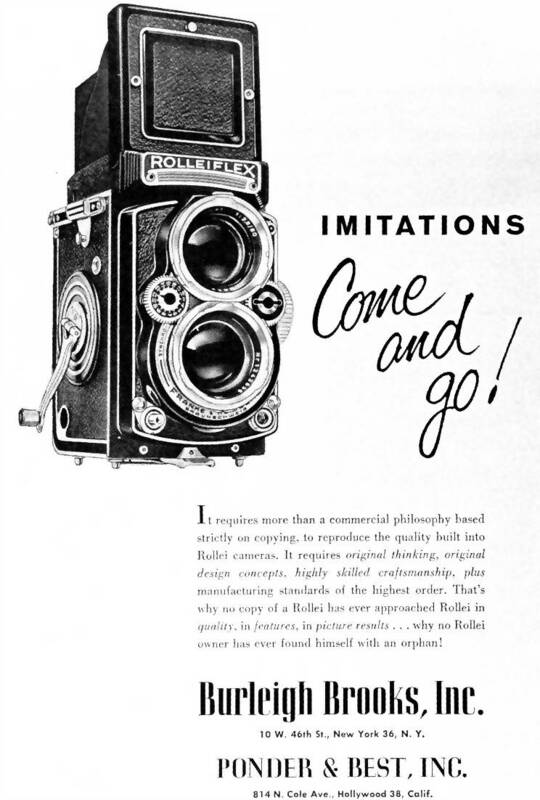 This is not to criticize the Yashica Mat (a worthy TLR if there ever was one), but more to emphasize the point that the Kalloflex as was a darn serious camera engineering effort for the time. The Kalloflex has one interesting quirk, that was not obvious to me until I read the manual more carefully: If one is to use the 1/500′th shutter speed setting, it must be set before advancing the film. I have been told by others that this was a common trait on Seikosha-Citizen shutters at the time. Shown here is my Kalloflex and some recent shots from the California desert. The film was Fuji ISO 100 color print film processed at Walmart and scanned on my Canonscan 8800F. As with lessor known Japanese rangefinders, I also have an interest in Japanese TLRs from the 1950’s. The Yashica and Minolta’s are the most common and famous, but there are scores of others, many somewhat obscure, and many of good quality. The Kalloflex is among these. It is a product of Kowa and appeared in about 1954 and was sold through about 1957. Kowa went on to make medium format history more than a decade later with the excellent Kowa 6, 66 SLR system, a competitor to the Hasselblad and Bronica systems.